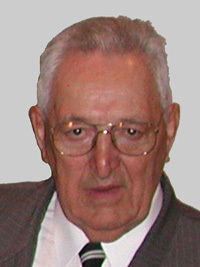 During the 32 years Ray coached at Newark High School from 1949 to 1981, he spent 23 years as the head coach of cross country and 19 years as the head coach of track and field. Ray was one of the founding fathers of the Blue Hen Conference. He won more than 20 Blue Hen cross country and track and field titles as well as two State cross country championships. Outstanding athletes include Chris Dunn, Olympic high jumper, John Greenplate, two-time State cross country champion, and Pat Walker, State champion hurdler. Many of his other athletes won individual State championships. Ray was instrumental in starting teams for girls in both cross country and track and field. In 1971, he was honored with the “Coach of the Year” award.